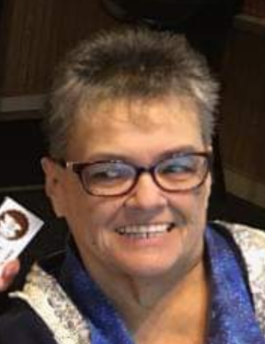 Obituary for Norva M. Cauffman | Kaniewski Funeral Homes, Inc.
Norva M. Cauffman, 69, of Mishawaka, IN, passed away at 4:23 a.m. Wednesday, November 28, 2018 at Hospice House in South Bend, IN. She was born on January 28, 1949 to Russell E. and Marjorie J. (Alber) Cauffman in Rochester, IN, and was a lifelong area resident. Along with her parents; she was also preceded in death by her companion, Roger Sabaj; and step father, George Minarik. Norva graduated in 1967 from New Carlisle High School. She worked most of her life as a Beautician and Customer Service Representative. Norva is survived by her son, Terry L. (Sandy) Cauffman of LaPorte, IN; one grandson, Zachary A. Cauffman of South Bend, IN; one sister, Sally Stypczynski of Columbia, SC; four brothers, Russell “Ed” (Diane) Cauffman of Mesa, AZ; Jon (Judy) Cauffman of South Bend, IN; William (Jackie) Cauffman of South Bend, IN; Rory (Connie) Cauffman of Fort Wayne, IN; and many nieces & nephews. Norva was a member of American Legion Post #284 and American Legion Post #357, both in South Bend, IN. She loved and followed the Borderline Band. Norva was an avid Bingo Player, Seamstress, and enjoyed Baking and Cooking. She was a big fan of the Chicago White Sox, Chicago Bears, and Notre Dame Football. Visitation will be from 3-7 p.m. Saturday, December 1, 2018 at Kaniewski Funeral Home, 3545 N. Bendix Drive, South Bend, IN. There will be no funeral services. Burial will take place at Chapel Hill Memorial Gardens in Osceola, IN at a later date. In lieu of flowers, memorial contributions may be made to: Hospice Foundation, Supporting Center for Hospice Care, 501 Comfort Place, Mishawaka, IN 46544 or the charity of the donor’s choice.